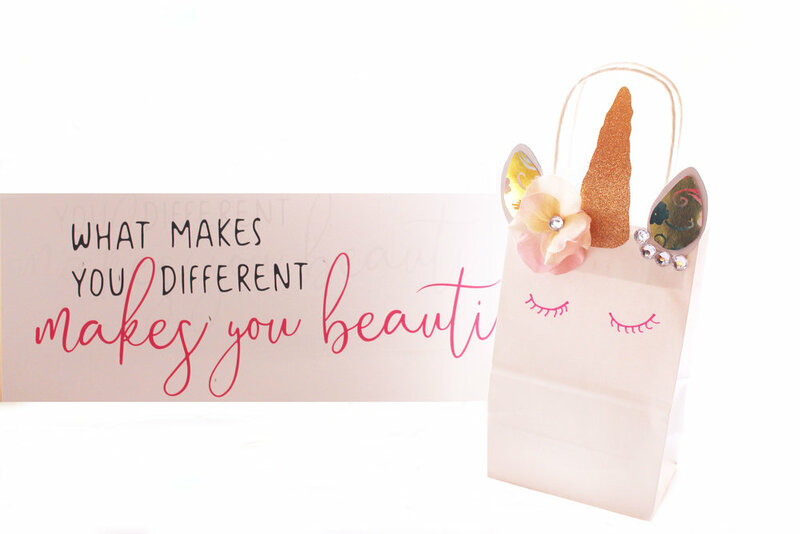 Make your own Unicorn party bags! We are SO excited to be sharing this super cute craft! Besides the fact that these bags are easy, they are so much fun to make. You can customize with different types of paper and colors and decorate them however you want! Amazing way to spend time with your kids and let them use their creativity! Want to give the gift of Goblies®? These bags fit one bag of Goblies® throwable paintballs or play paint PERFECTLY. Great idea for a party favor or a birthday gift! Step one: Print and cut your “Goblies® Make Your own Unicorn” printable. Step two: Trace your ears and horn on your cardstock paper. Once you have finished, cut your ears to the smaller line to use them to trace the inside of the ear. Step Three: Cut out the traces of your horn and ears from the cardstock paper. Step Four: Glue the smaller piece of ear onto the bigger part of the ear. Glue your horn and ears onto the bag. Step Five: Draw your eyes with your marker making a semi circle in the center of the bag. Detail with eyelashes by making curved lines. Step Six: Decorate with flowers and rhinestones! Easy right? Let us know what you think and post your finished Unicorn bags and tag @goblies on Facebook or @Gobliesofficial on Instagram for a chance to be posted on our social media!